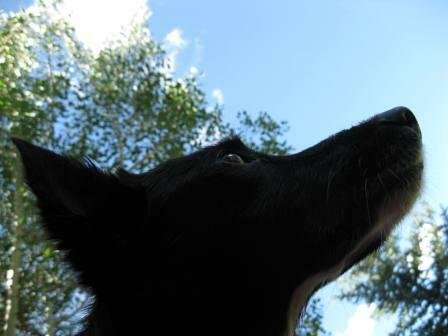 Sharing a lifetime of photos and video of Lilly, our dearly departed canine heroine. Approximately 5-minute tribute video for my Heart Dog — my canine soul mate — Lilly Elizabeth Hawn. This video made me cry I know the pain of loosing a pet for having it for such a long time. I loved the unique way you offered a tribute to your lovely Dog Lilly.But you will still have all the lovely memories with you . What a beautiful tribute to a beautiful dog, Lilly. It hurts so much when we lose our furry babies. She had a zest for life, and the frames showing her running towards the camera, of which I’m sure you were behind, is the way we should all remember her. Free from pain, and enjoying all the doggie things they love so much to do. It’s seems so crass to say she lived a long life…9 years doesn’t seem to be much at all. But one thing is for sure, she loved you and that’s a special love you don’t find with people. They accept you for you. You did what you could for Lify and she knows it with all of her heart. One day, I really do believe, we will meet up again with our beloved animals. Peace be with you and yours. Thank you very much for sharing this video and part of Lilly’s life with us. She will be remembered with love by all lucky enough to hear her story. Best wishes and thinking of you. What a wonderful tribute to Lilly. A beautiful tribute, Lilly will surely be waiting for you at heaven’s gate. Thank you for sharing this incredible journey. My heart goes out to all of you, the pain of loss is so overwhelming and difficult. Know that she is waiting for you, she is happy and there is no more pain. Beautiful. What a life your sweet Lilly had. You brought both smiles and tears to me during that tribute, which is as it should be. Her love for you is so clear. A bond like yours and hers is incredible to see. Indeed, she will wait for you. I loved that last shot of her flying across the field. I am so sorry Roxanne. If not for that damn rabies vaccine…. She was taken too soon because of that one thing. I am so sorry for your loss. What a beautiful tribute. Rest in Peace, Lily Elizabeth Hawn. Oh those ears! Her shiny hair! Her zest! Her booties! Her lightly powdered nose! Her vitality! Her energy! Did I say her ears? Oh how we all love her ears! I cried through the video, but not as much as you did making it. Such acute grief, I can’t imagine! I suffered after losing my dog (while my own mother was dying) but you and Lilly – she had some special needs that you worked so hard to meet, day and day out. Let Lilly and you – and your devotion to each other – serve as a lesson for all of us. Thank you, always, for sharing, I hope there is more so we don’t all have to let go of her yet.